High Desert Christian Academy is committed to educating students with sound wisdom, knowledge and understanding. The realization of Jesus Christ is the cornerstone upon which all other learning will be built. Our guidance and teaching will be based on Biblical truths in order to give students an eternal perspective. Our Academy promotes a distinctly Christian worldview. We present all subjects as defined by Christian truth and lead students to evaluate all human knowledge and experience in light of the Scriptures. Our graduates possess a deep understanding of their world; the ability to discern truth, beauty and goodness; and the tools to influence every situation for God’s glory. 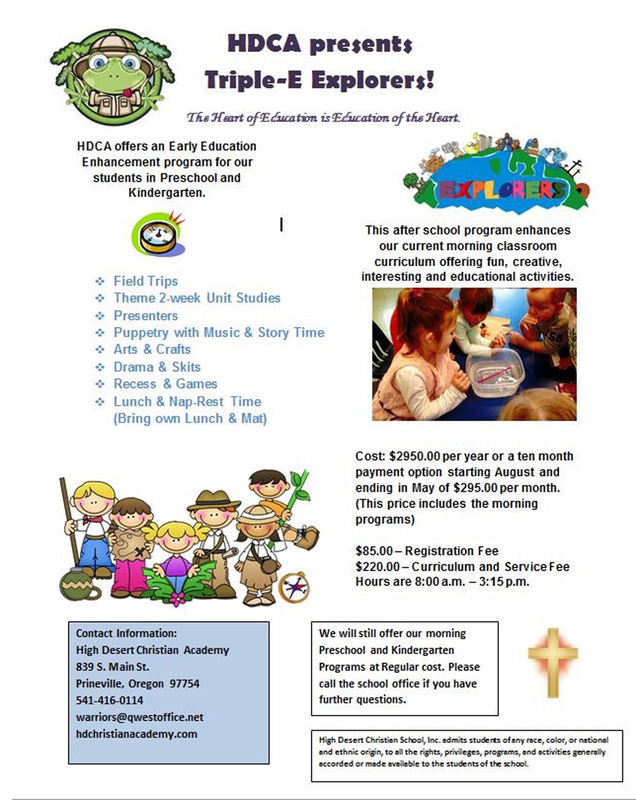 HDCA integrates the teaching of all subjects because our world, our faith and our lives are one interconnected whole. Students are taught ethics in science, history in mathematics and Bible in art. They are led to understand all things as part of a greater whole defined by Christian truth. Our ultimate goal is to train up highly competent scholars with strong Godly character who are prepared for the challenges of the future. We encourage each and every student to have a passion for learning and for understanding God’s word. This passion will allow them to pursue the ultimate purpose that God has for their lives. It is the desire of HDCA that not one child, parent, and person leaves our doors without feeling they have encountered the love of Christ.